by Rhonda Mawhood Lee (originally appeared at Faith & Leadership (used by permission). FOR MORE ARTICLES ABOUT CHRISTIANS IN PRISON, READ CHRISTIAN HISTORY #123, CAPTIVE FAITH: PRISON AS A PARISH. Wilbert Young, 61, was “survived by his mother, with whom he was very close, a sister, Wanda, and a brother.” He would be remembered “by all who knew and cared for him” for both his “serious demeanor” and his kindness. Frank Jones, 70, “had a strong faith and was a member of the Cowboys for Christ ministry.” He was a fast-pitch softball pitcher and a woodworker who specialized in rocking chairs and other outdoor furniture. These men, of various ages, races and backgrounds, had two things in common. They all died serving life sentences at the Louisiana State Penitentiary, also known as Angola, the largest maximum-security prison in the United States; and their obituaries were published in the prison’s award-winning news magazine, The Angolite. I have subscribed to The Angolite for several years, because it gives me a window into prison life and a way to support incarcerated fellow writers. I enjoy reading about educational and religious activities at Angola — such as a seminar two years ago by noted Anglican theologian David Ford — and I’m often moved by the poems submitted by inmates across the country. But my favorite part of the magazine is the obituaries that appear in virtually every issue, providing glimpses of men who are often dehumanized by those of us living our lives outside prison walls yet whose hopes, joys and sorrows are similar to our own. More compelling still, The Angolite’s obituaries are almost always more honest than those that typically appear in “free-world” publications. Whether Angola inmates were rightly or wrongly convicted, it’s a safe bet that many would have received lesser sentences in any other state and, as a result, might not have died in prison. Louisiana has the country’s highest percentage of inmates serving life without parole. Life sentences are mandatory for many Louisiana convictions, and under the state’s habitual offender statute, can even be imposed for nonviolent offenses such as shoplifting (link is external). What legal scholar Michelle Alexander (link is external) has called “the new Jim Crow” is evident at Angola. The prison stands on an old plantation, bought in 1880 by a Confederate officer who housed prisoners in former slave quarters, put them to work on the prison farm and leased them out to build levees. When Angola became a state prison at the turn of the 20th century, conditions did not improve. In the early 1950s, 31 inmates protested their brutal living conditions by slicing their own Achilles tendons with razor blades — a particularly pointed act of defiance considering that 19th-century slave owners used that same technique to mutilate runaway or recalcitrant slaves. After a federal lawsuit by prisoners in the mid-1970s, life at Angola improved, but the past still echoes down to the present. 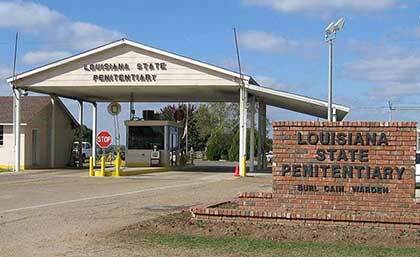 Although about a third of Louisiana’s population is black, African-Americans account for 80 percent of the inmates at Angola. They work for as little as 2 cents an hour in the prison’s in-house and partnered for-profit businesses. Almost all can expect to die in prison. When they do, they will receive an obituary in The Angolite that will reach readers across the country, both inside and outside prison walls, including people like me. We may never be incarcerated ourselves, but we follow Jesus Christ, who said we would be judged in part on whether we had visited those in prison. This All Saints Day, as I meditate on the communion of saints, I find in The Angolite echoes of my own, more prosaic life with God and neighbor. The prisoners’ stories bring me face to face with the sins — others’ and my own — that tear holes, small or gaping, in my web of relationships. And they also bring me face to face with God’s persistent invitation to repent, atone and reweave community wherever and however I can. Each prisoner’s victims, of course, have their own stories to tell, stories I haven’t heard but can try to imagine. If the families of the inmates and the victims were to meet, they might find that they have much in common — their grief, if nothing else. And because prisoners’ convictions are overturned with an alarming frequency, it’s likely that some of them were punished for the crimes of others — a story familiar to Jesus himself. When I read obituaries from Angola, I pray for the men who have passed from this life to the next, for those they have hurt and those they have helped, for prison workers, and for all of us in whose name the legal system is administered — its brutalities perpetuated and its justice served. We are all connected. We are all sinners. And by God’s grace, each of our lives may reflect something of divine glory: something of a saint. 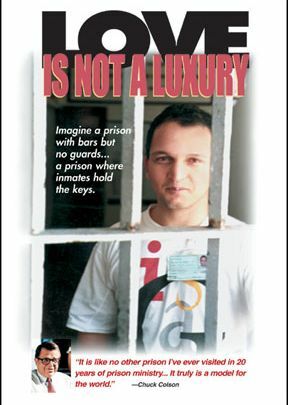 Imagine a prison with bars but no guards—a prison where inmates hold the keys. This Brazilian prison accommodates some of the most notorious inmates; yet peace and good order prevail. Love is Not a Luxury. The film, shot by two of the inmates, examines the day-to-day running of the prison and explores the personal development of two prisoners with sentences of 70 and 114 years, who hold substantial responsibility for the harmony and security of the prison. Announcing a new design for Captive Faith!